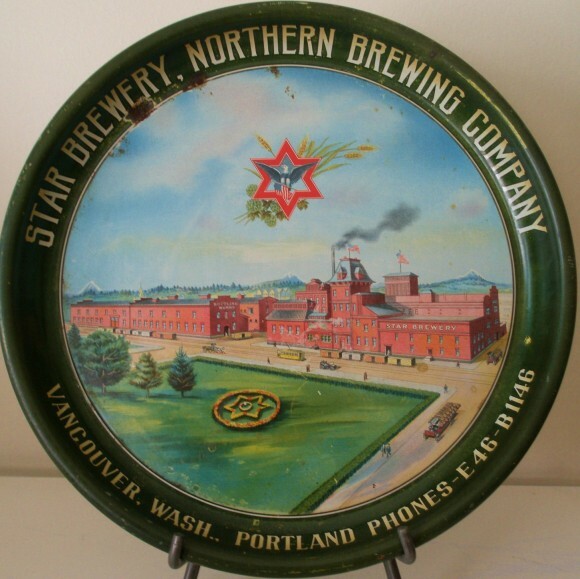 Serving Tray for The Star Brewery, Northern Brewing Company from Vancouver, Washington. Portland Phones-E46-B1146. showing in the center a beautiful painting of the Brewery.